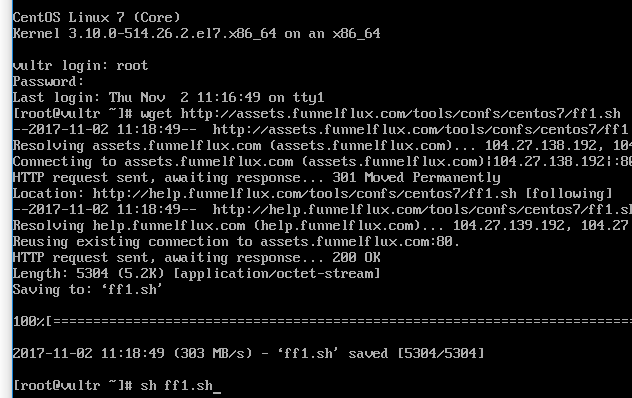 Here we will show you how to use our scripts to assist installation of FunnelFlux on a VPS from DigitalOcean. Note we now have a deployment manager and you should check if DigitalOcean is available in this first, as this is a much easier (and preferrred) way of installing FunnelFlux. You can access the deployment manager by first going here to make sure you are logged in, then clicking deployment manager. 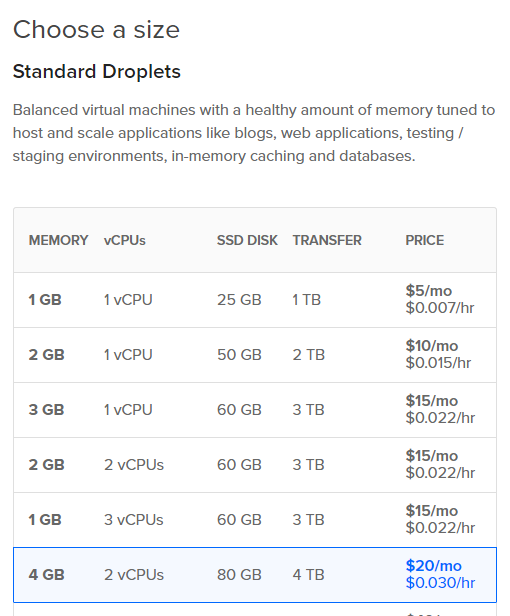 To kick things off, head over to DigitalOcean and log in or register an account. We recommend a strict minimum of 2048MB of memory and 2 CPU (regardless of how low your traffic volume might be). For 200,000 to 1 M visitors per day, select a server between 8 to 16 cpu and a minimum of 16GB of memory. If you plan to send more than 1 million visitors per day through your FunnelFlux, then it would be wise to select a server with at least 16 vCPU. Then, pick a region - we recommend either Amsterdam or New York. Give your server a name, e.g. flux-tracker then click create. Wait for the IP to become available, then copy it to the clipboard. Use the IP, not the private or floating IP. From your server page you will see a console button that will let you access the SSH console for this server. However at this stage we highly recommend you grab a local SSH client, e.g. Whatever software you use, create a new connection to your server IP, use SSH (version 2 if available), username root and copy/paste in the password provided to you via email when you deployed the server. 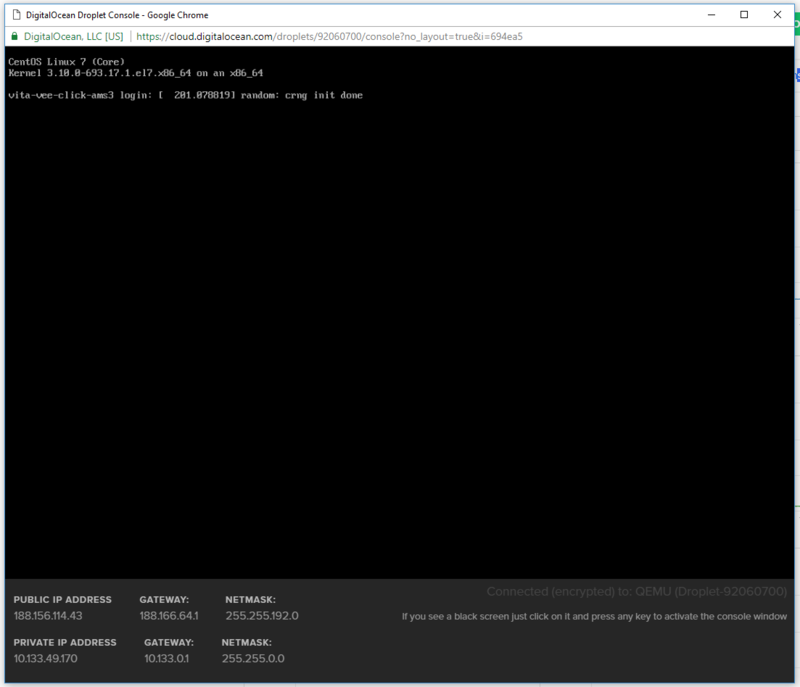 After having logged in, lets run through some initial commands specific to DigitalOcean. We'll need to do these for our scripts to work. Note that you should wait at least 5 min after deploying your server to ensure it is not still running some installation processes. You will need to manually change selinux status to "SELINUX=disabled" in the editor. Generally in vi editor you tap i to enter edit mode, then can hit Esc or Ctrl+c to exit, and type :wq to save and exit (w = write, q = quit). Once done, restart your server via the DigitalOcean control panel or typing restart and hitting enter in your SSH terminal. You'll get disconnected and will need to reconnect - wait a minute or so. Once reconnected, confirm the status of SELINUX by running sestatus . This should print out that it is disabled. From here, we can move on to our actual installation scripts!